Heggunda is the massive rocky hill, Ramadevara Betta, crowned by a Rama temple on the top.Heggunda (earlier called Pokkunda) was an important city during the Hoysala period (12th Century).The iron railings installed all the way to the top provide adequate support and comfort for the city dweller long used to the elevator. Atop the hill is a small temple of Sri Rama with a tall stone pillar installed in front. It is said that Rama's sacrificial horse was tied to this post by his sons Lava and Kusha.There is temple on the foothills. After walking for 10 mins you will find anjaneya temple, take left from there which leads to small pond and the steps with railings to reach the top. Nearest Place of interest : DD Hills, Mandargiri hills, Nijagal Betta. Best Time to Visit: All Seasons. Parking: Park in village near temple. 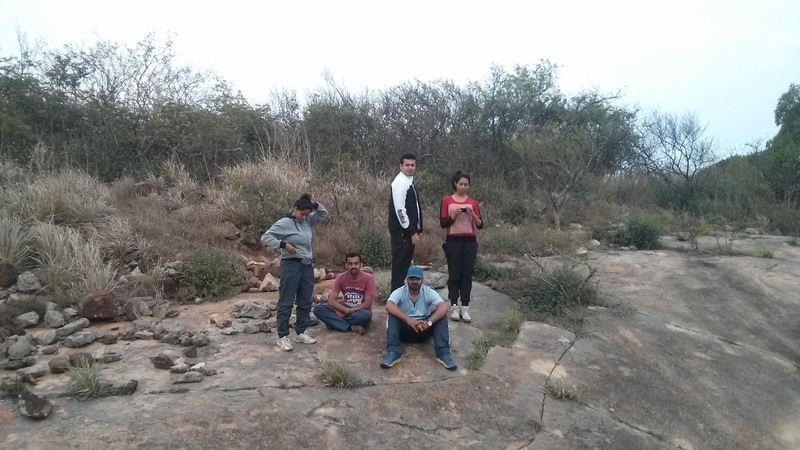 2nd Day: Started from Masinagudi in the morning and we headed to Himavad Gopalaswamy Betta. Gopalaswamy hill range seemed endless.There are quite a few scenic places on the way, including sunflower fields and long road stretches with trees on either sides.The temple consists of main diety Sri.Gopalaswamy, the image is beautifully carved out of Krishna Shile, and is about 7 feet in height including the prabhavali. The idol of Krishna, is very beautifully carved and he is standing in a Tribhangi posture. Himavad Gopalaswami temple was constructed in 12th Century AD by the Hoysala Kings.Later the Wodeyars Wodeyar dynasty of Mysore who were ardent devotees of Lord Venugopala displayed keen interest in maintaining the hill temple. The temple is situated on a hill which is actually an extension of Western Ghats and is surrounded by thick jungle on all three sides. 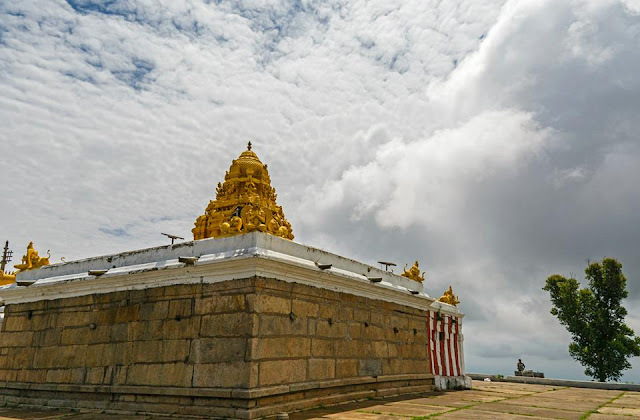 The temple is restored in a Dravidian style and outer protection wall is constructed at a later stage.ame Himavad - Hima means snow in Kannada vad - meaning covered with, as this place is in a altitude of 1400+ meters above Sea Level and is always covered with clouds. The best part of this place is you will not find any crows, people says that once a crow had a dip in the near by pond and it turned into a swan and henceforth, no crows are to be seen here. 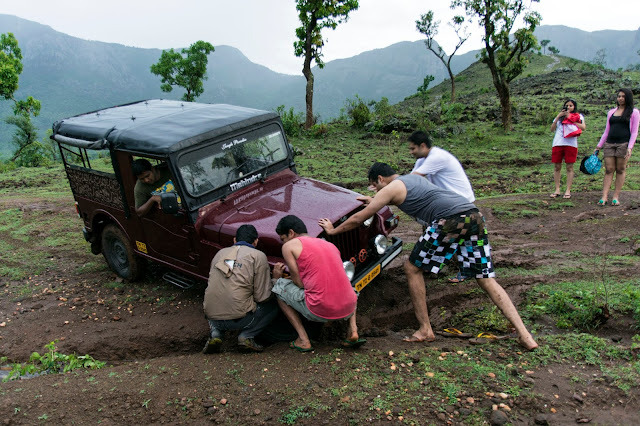 just after Gundlupet you need to drive for about 8 kms till you reach a small hamlet called Hangala, take a right deviation for about 11 kms and you will reach this fantastic location admist thick forest and if you are lucky you can spot Elephants. Note : Trekking,Picnicking,partying are punishable offense. Hence visitors are requested to refrain from adventure or explore. Permission: Yes (Time to return is 1 hour 30 minutes). We started from bangalore when all the signals were yellow i:e 4am. As planned meeting point was jayadeva flyover and banshankari. we rode via kanakapura,Malavalli,bandipur,Masinagudi. The presence of gentle streams and flowing waterfalls in the forest cools up the environment and brings respite to tired travellers. Hotels in Masinagudi are strategically located to provide spectacular views of the surrounding hills and forests. Set amindst utterly tranquil environment, these accommodations in the form of villas, resorts and rooms are great places to relax and spend intimate moments with nature. Very good hospitality throught our stay. Food was really good. Better place to stay with family and friends.Kumar can arrange Night safari, Trekking to beautiful spots and many more. 3 Tree houses, Few rooms, Campfire etc available at the paradise. Truly its a paradise as the name say. 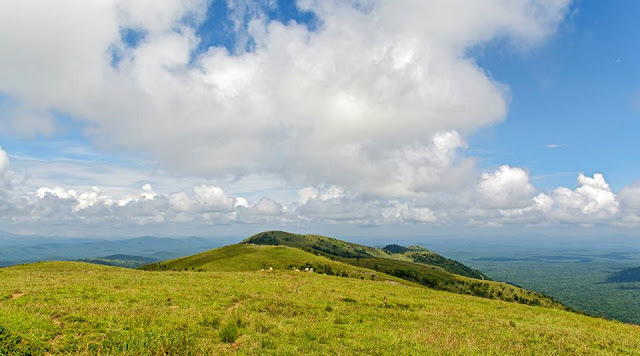 Horagina Betta also known as Brahmagiri, 65 kms from Bangalore is one of the major hillocks on route to the Nandi Hill Mountain.Horagina Betta has been rarely visited by trekkers. The peak has a very beautiful Lord Shani-Eshwara temple. The evergreen forest patch on top of the hill being a favored wintering location for many migrant species of warblers, flycatchers and thrushes. 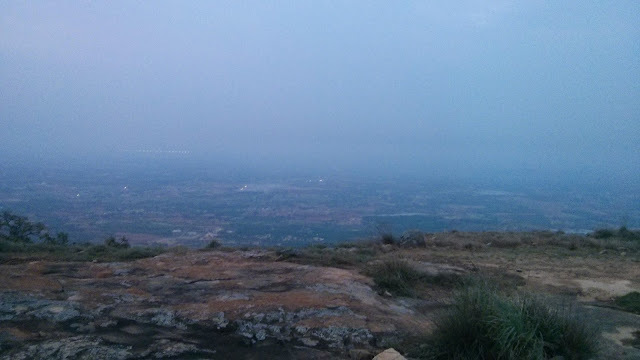 Due to the presence of Nandi Hills which is a popular tourist destination. Horagina Betta has been rarely visited by trekkers.I have mentioned 2 options for trek. If it is night trek since vehicles are not allowed to enter nandi checkpost better to take 2nd option. If it’s a day trek one can take option 1. There no vehicle parking in option 1 but bikes can be parked nearby. But option 2 has unofficial parking place. Trek Ways: 2 Options to Ascend! 1. Nandi hills road junction where we can find board of Shani-Eshwara temple (1hr). What we did: While ascending we took option 2 and while returning in morning we came by option 1. Campfire: Can be done near Shani-Eshwara temple. Shelter: There are 2 open rooms incase its rainy or cold near temple. 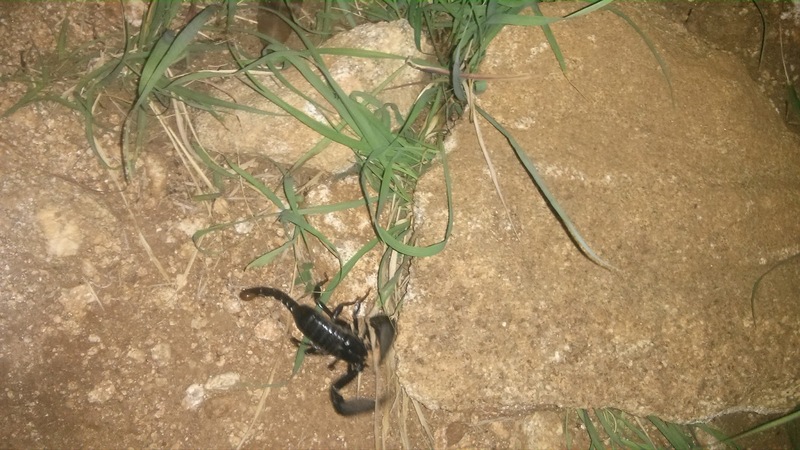 Be Aware of: Can encounter Small snakes, Insects, Scorpions etc in the night. Google Map: "Trail to Nandi One" Please follow the this you will reach the top. View Point : 500 mts above temple, Take steps to go to view point. 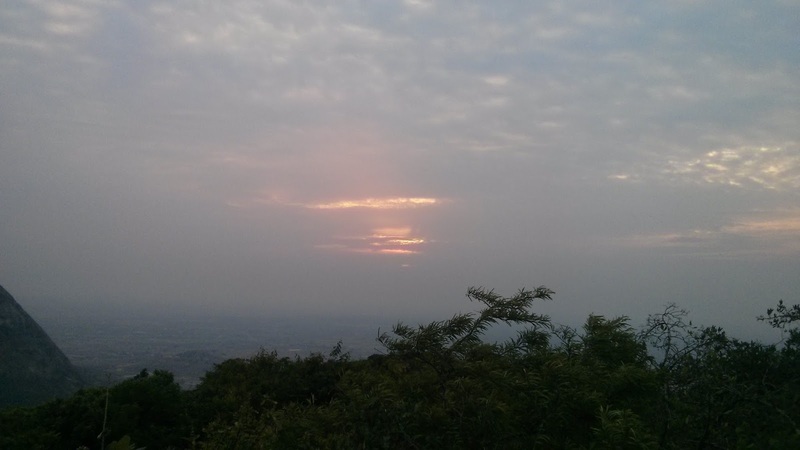 Horsley Hills is a summer hill resort in Andhra Pradesh, about 140 km from Bangalore. 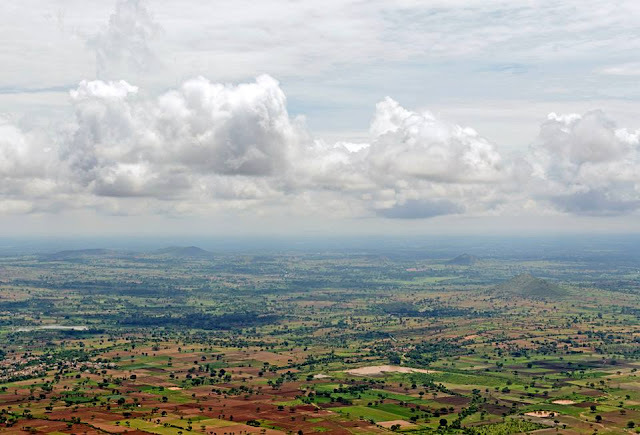 The old name of Horsley Hills was Yenugu Mallamma Konda. 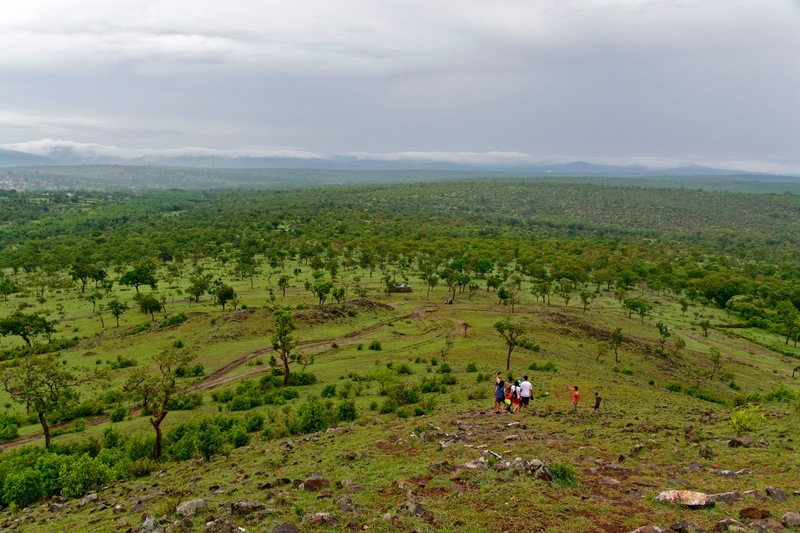 According to legend, there used to be a little girl named Mallamma who was taken care of by Elephants.Standing at a dizzying height of 4,312 feet (1,314 meters) above sea-level, the unspoilt and tranquil environs of Horsley Hills in Chittoor district command breath-taking, panoramic views of the lush expanse of the broken hill ranges of the Southern portion of the Eastern Ghats. Located near the South Western border of Andhra Pradesh and Karnataka, this "Andhra Ooty", with its rich foliage, wildlife and pleasant climate is undoubtedly one of the underrated hill stations in the country. The area is a treasure trove of deciduous flora and fauna and rich in eucalyptus, silver oak, mahogany, coffee, jacaranda, allamanda, gulmohar and flowering plants. The quaint hill station of Horsley Hills in Chittoor district is the perfect refuge for weekend holidays. Immaculate air, panoramic views of the surrounding hillocks and dense forests, perfect weather and serenity. The adventure sports are open from 7 am to 6 pm and anyone above 5 years are eligible. Rope sliding, horizontal ladder are some of the high rope activities one can opt for, besides the trampoline, archery can be done. Do visit the 148-year -old eucalyptus tree 'Kalyani' that is visible from the Kadiri-Madanapalle road, that is 70 kms away, on clear days. Planted by WH Horsley in 1859, the tree was awarded the Maha Vriksha Puraskar a few years ago. Enjoy the rejuvenating heavy winds as they blow past you. What to look at Horsley Hills: Environmental Park, Gaali banda/Wind rock,Highview seeing point, Kalyani tree, Lake Gangotri and Mansarovar Adventure sports area, Swimming pool,Kerala Massage. 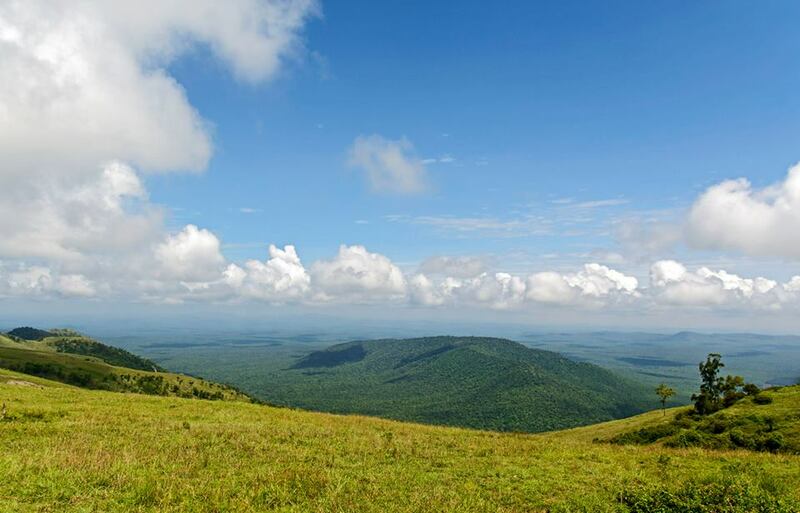 Stay: APTDC Haitha hill resorts, Holiday homes. Reserve your stay in advance. Best time to visit: Winter. Note: There is no ATM on the hill, Card accepted in Haritha but don’t take chance.